Dogs thrive on quality protein and healthy fats. 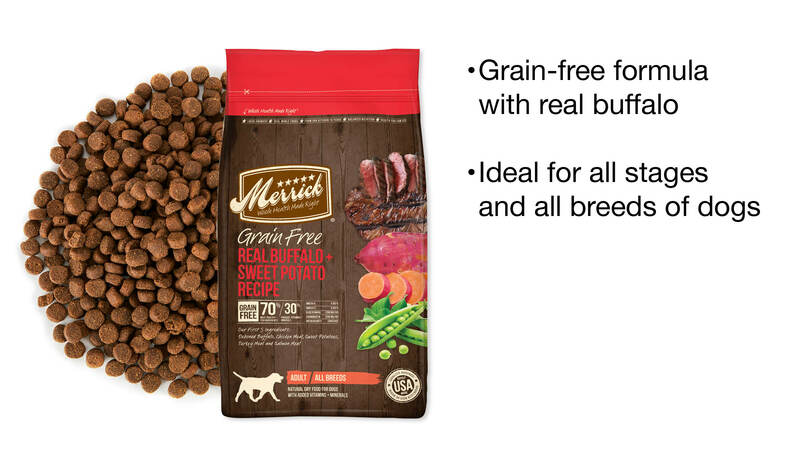 That’s why Merrick® Grain Free Real Buffalo and Sweet Potato Recipe Dry Dog Food provides balanced nutrition with real whole foods sourced from local farmers. This grain-free formula dog food is ideal for all stages and all breeds of dogs due to its focus on naturally nutrient rich ingredients that support overall health. This formula contains 70% meat- and fish-sourced ingredients, including deboned buffalo, to help build and maintain lean, healthy muscle tissue. It also provides omega fatty acids to promote skin and coat health and glucosamine to support healthy joints. The remaining 30% of ingredients are fresh produce, including sweet potatoes, potatoes, peas, apples, and blueberries, to provide vitamins, minerals, and antioxidants. Because sweet potatoes and potatoes are easily digestible carbohydrates, they offer the benefit of sustained energy without upsetting grain-sensitive systems. This food revolution in a dog bowl yields 38% protein in every bowl. 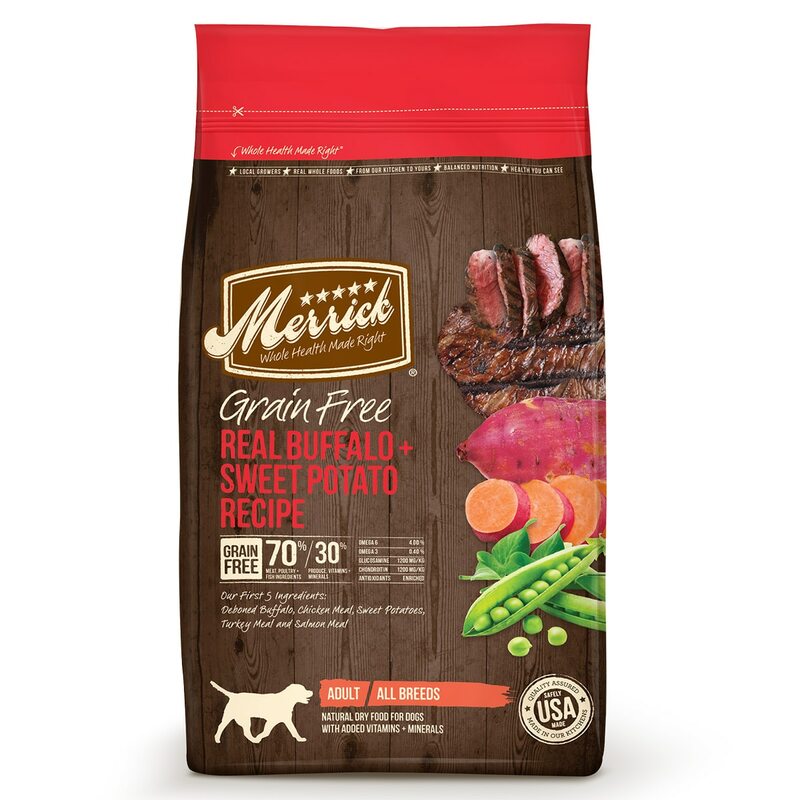 Like with all of Merrick’s recipes, Merrick® Grain Free Real Buffalo and Sweet Potato Recipe Dry Dog Food is made from locally sourced farm fresh ingredients in their own five-star kitchen and manufacturing facilities to ensure the highest quality.